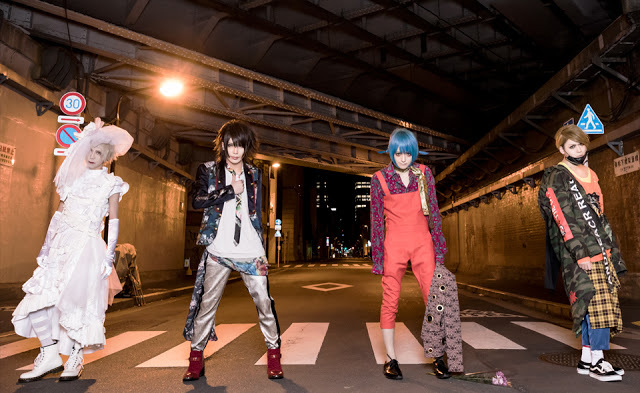 It was announced on March 15th that a four-member visual kei group RAVE will leave PS Company. The departure will happen on March 31, when their contract with the label ends. Unlike A9, former PS Company protégés, RAVE won’t take a leap of faith: the band has secured a deal with another agency. They are moving to 24 RECORDS. RAVE is currently the only band signed to the label in question. The previously scheduled concerts will be held normally, and the new mini-album ‘Menbure San Toorimasu’ will be released as planned on May 30th. PS Company, the once-iconic visual kei record label currently hosts a roster of three bands: RAVE, the GazettE, and Kra. In addition, they have four solo artists signed up: Reno (ex-Vivid), ReFrain ReFrain, K (ex-born), and NAOKI (ex-Kagrra,).